Clasp, JBB Findings, hook-and-eye, antiqued sterling silver, 34x9mm woven rectangle. Sold individually. Item Number: H20-4561FX Have a question about this item? 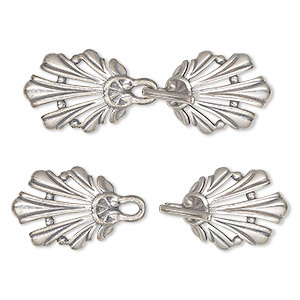 Add precious metal style to designs with this antiqued sterling silver clasp from JBB Findings. 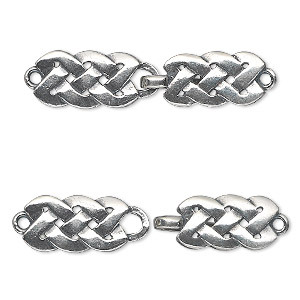 Made in Israel, the decorative hook-and-eye clasp with a woven pattern finishes off jewelry designs with style. 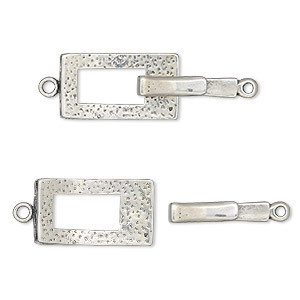 Clasp, JBB Findings, hook-and-eye, sterling silver, 25x12mm rectangle. Sold individually. 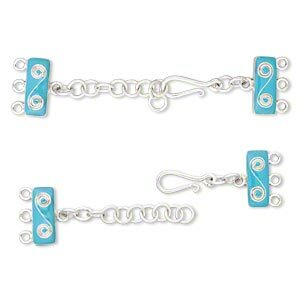 Clasp, sterling silver and enamel, turquoise blue, 50x18mm 3-strand with 1-inch extender chain and hook-and-eye clasp. Sold individually. End bar, sterling silver and enamel, turquoise blue, 50x18mm 2-strand with 1-1/2 inch extender chain and hook-and-eye clasp. Sold individually. 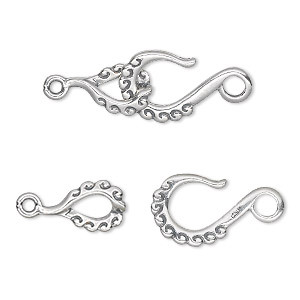 Clasp, JBB Findings, hook-and-eye, antiqued sterling silver, 19x9mm gothic style. Sold individually. 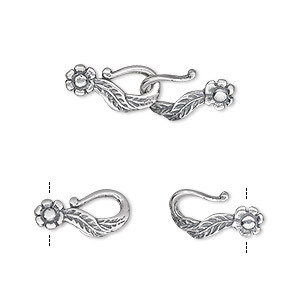 Clasp, JBB Findings, hook, antiqued sterling silver, 13x7mm double with flowers. Sold individually. Clasp, JBB Findings, 3-strand hook-and-eye, antiqued sterling silver, 38x13mm fancy shell. Sold individually. 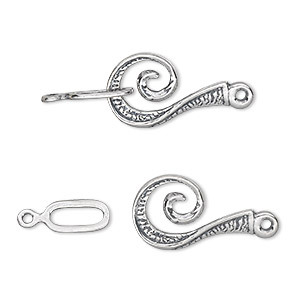 Clasp, JBB Findings, hook-and-eye, antiqued sterling silver, 21x10mm swirl. Sold individually. 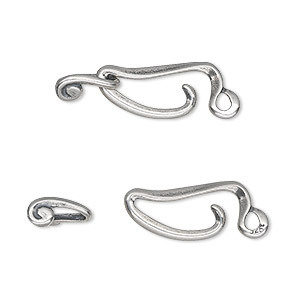 Clasp, JBB Findings, hook-and-eye, antiqued sterling silver, 28x10mm textured. Sold individually. 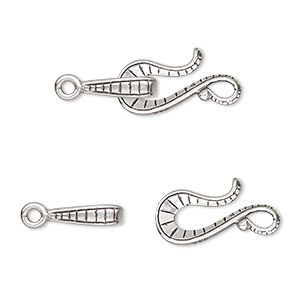 Clasp, JBB Findings, hook-and-eye, antiqued sterling silver, 22x14mm question mark. Sold individually. 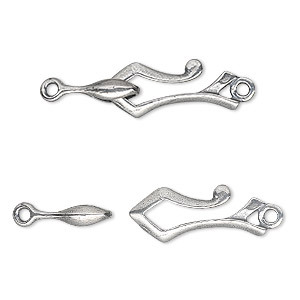 Clasp, JBB Findings, hook-and-eye, antiqued sterling silver, 23x11mm with waved edge. Sold individually.